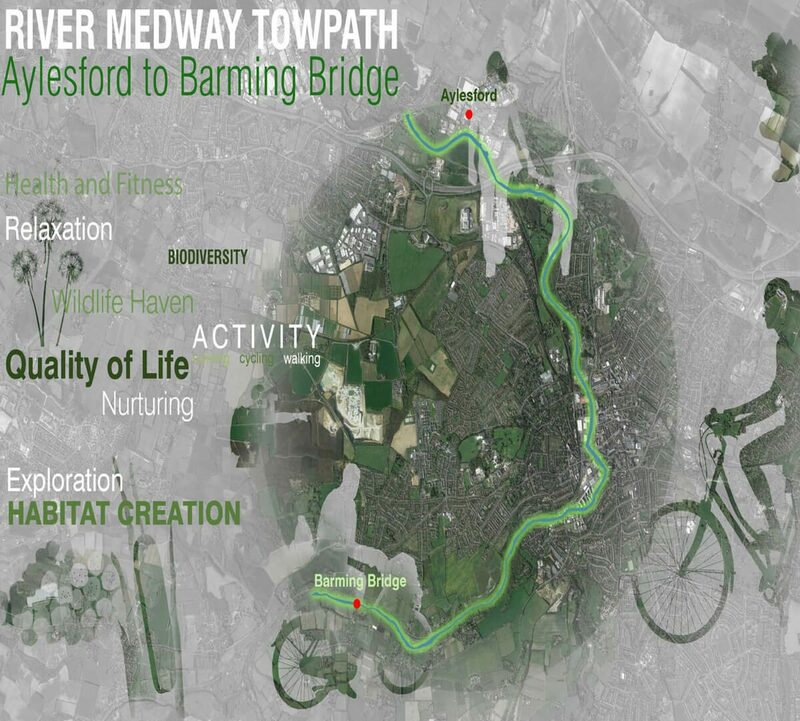 Working with the Public Rights of Way team at Kent County Council, HBA were commissioned to take forward and develop landscape and ecological enhancements that could be delivered ‘on the ground’ alongside the upgrading of the River Medway towpath from Aylesford to Barming Bridge. The towpath improvements span both the tidal and non-tidal sections of the River Medway and open up sections of the towpath which have been inaccessible for many years. The environmental scheme incorporates a number of measures to increase wildlife habitat, in particular for grass snake, slow worms and dormice and provides new planting to assist with riverbank scour protection. Our work has included the preparation of sketch through to detailed landscape design proposals and the preparation of presentation booklet for stakeholder consultation and planning approval.